Brown Bear® 7.62x54 FMJ 174 Grain Ammo. First quality! Lacquered steel case. Current production. Muzzle Velocity: 2,495 F.P.S. Muzzle Energy: 2,556 ft.-lbs. 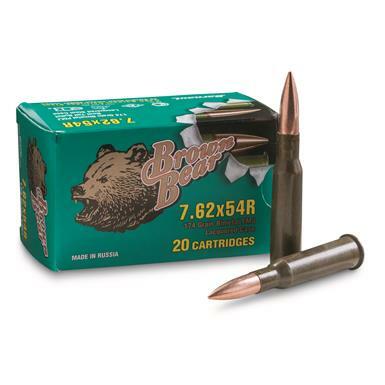 Brown Bear, 7.62x54, FMJ, 174 Grain, 500 Rounds is rated 5.0 out of 5 by 5. 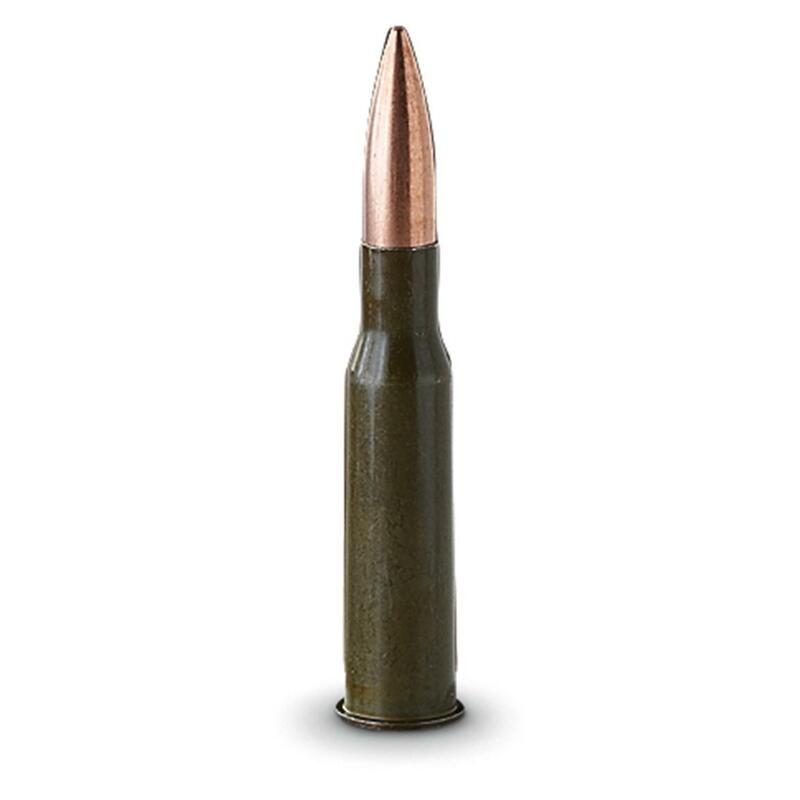 Rated 5 out of 5 by CHRIS from Brown Bear is a cheap, NC ammo. But the money you save shooting will be spent on the cleanup. Its a pretty dirty ammo. But I dont mind shooting all day and spending an hour cleaning my Russian rifle. Rated 5 out of 5 by RONALD from Excellent ammo and I will be ordering more soon.